Remodeling your backyard and installing a pool is a pretty major decision-making process; after all, your backyard design can say a lot about who you are and your individual personality. At Open Water Pools & Spas, our pool designs in Austin and Georgetown suburban backyards can suit whatever aesthetic you may be going for. 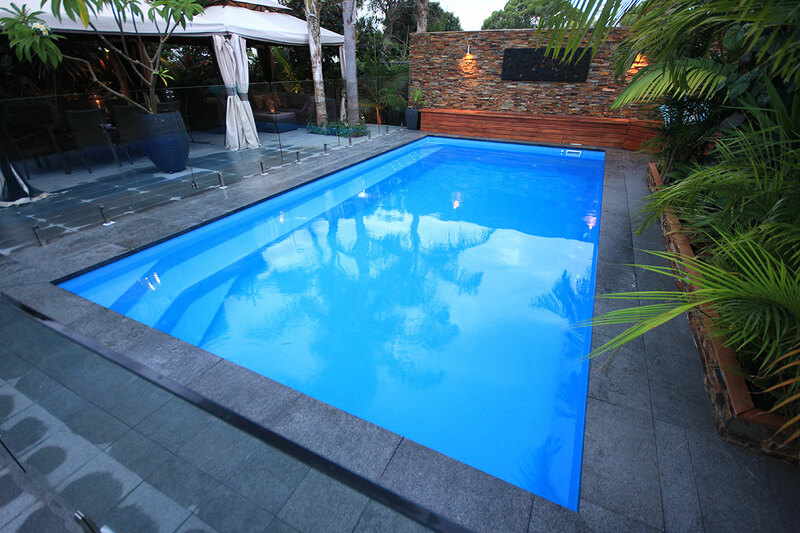 If you are going for a more outdoors-like look to your backyard, a rock grotto pool design will fit in perfectly. This design is incredibly flexible – you can create a rock waterfall, or simply various rock sizes to accentuate your pool décor. It can be used for a multi-tiered design, creating a unique and natural atmosphere. A more modern and geometric design, like a square pool for example, is great if you want a more contemporary looking backyard. Square pool designs are very unique and are sure to stand out among the rest. Keep in mind that a modern pool should reflect the architecture of your home, it may not compliment a home with a more classic design. Everybody deserves a relaxing get away from their hectic lives – for some, their dream retreat is a gorgeous spa design right in their backyard. Depending on the unique terrain of your backyard, your spa could be elevated or even connected to your pool. Spas can have all types of looks, from rocky exteriors to smooth tiled exteriors. If you aren’t installing a separate kiddy pool, a zero-entry design is a great option for a small suburban backyard that sees a lot of kid traffic. This design features a shallow section of the pool that allows both young kids and adults to enjoy the pool without being concerned about the pool’s depth. If you are just looking to spice up your already existing pool, adding a waterfall is a great option. 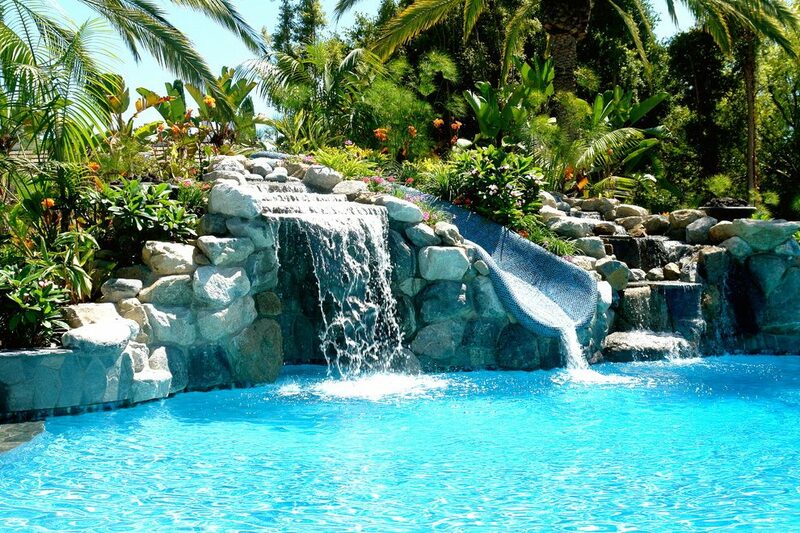 A fun little waterfall will definitely make your backyard pool a hit among friends and family. Water feature additions like fountains and waterfalls are timeless. We understand that not every backyard comes instantly ready for a pool to be installed – Texas has its fair share of hills and uneven land. If your small suburban backyard isn’t level enough for a pool or patio, this is the solution for you. An elevated pool gives you the opportunity to add a level patio to optimize your backyard’s entertainment potential. 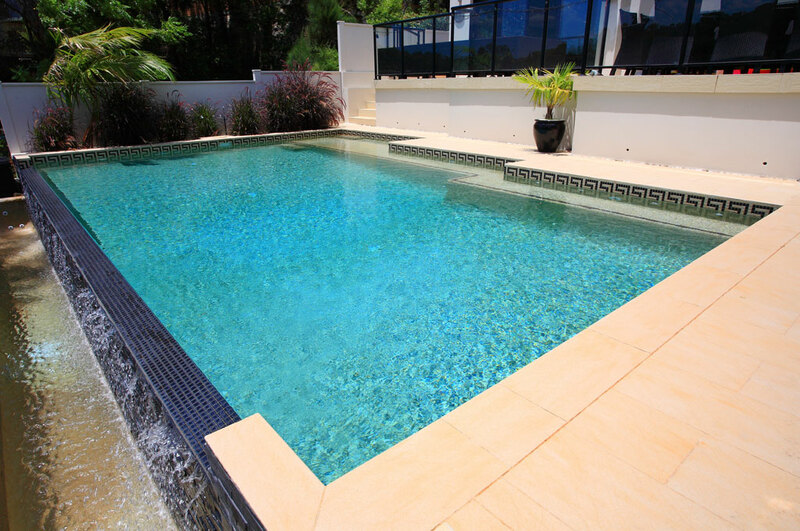 If nothing else is speaking to you, a free form pool is a classic option that can spruce up any backyard. This pool design pairs well with an outdoor patio space and is great for outdoor dining.